Organic gardening has been described as several things: chemical-free gardening, Earth-friendly gardening, natural gardening are just a few. And it is all of these things, but these phrases tend to be so ambiguous they end up causing confusion. For example, “chemical-free gardening” is a total misnomer, because whether you are using organic or synthetic fertilizers and pesticides in your garden, they are all “chemicals.” “Natural gardening” espouses images of weeds run rampant and hornworm-infested tomato plants. “Earth-friendly” gardening works, except that everyone has a different view of what they consider to be “friendly” to the planet. Use the simplest solution first. The soil is the basis for everything that grows in our gardens. If the soil is nutrient-weak, compacted, or devoid of beneficial microorganisms, it will not support healthy plants. You can try to “fix” it with fertilizers, but it will never grow as well as a plant grown in healthy, rich, crumbly soil. 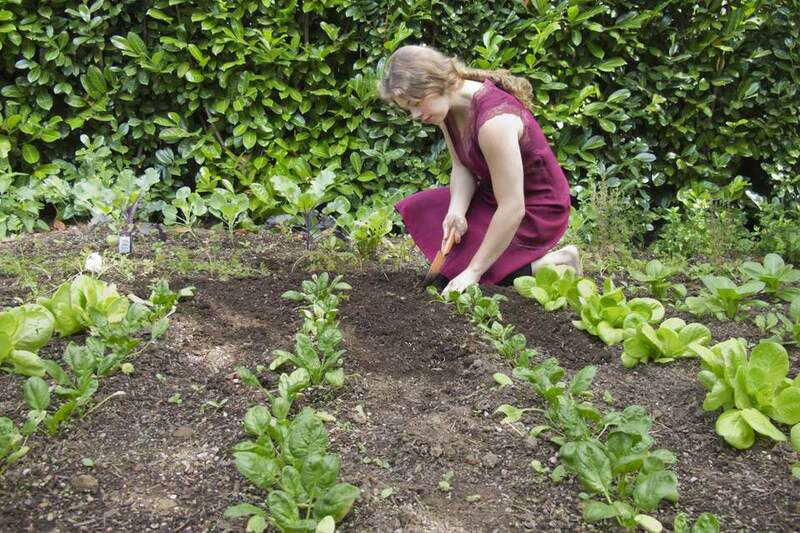 By feeding the soil, you provide plants with a good foundation for healthy growth. Plants that are healthy are less likely to be bothered by pest and disease problems. By adding organic soil amendments, such as compost, manure, chopped leaves, and mulches in and onto the surface of the soil. A soil test will inform you of any mineral deficiencies, and explain how to remedy the situation. There are several things you can do to help your plants thrive, which will limit their susceptibility to pest and disease problems. Pay attention to the plants' light, moisture, and soil preferences. Match the plant to the right site, and it will grow more robustly and be better able to resist pest and disease issues. Give your plants some breathing room. Fungal diseases run rampant when plants are planted too closely. Susceptible plants, such as lilacs, monarda, phlox, and roses should be given a site with plenty of space for air to circulate around the foliage. Purchase and plant disease-resistant varieties. Maintain a clean garden. Remove diseased foliage from the area. Pick up fallen fruit. Pay attention to pruning; powdery mildew and blackspot can be thwarted by opening up the plant and cutting back diseased or weak stems. Observe, observe, observe. If you catch a problem at the beginning, such as a case of blackspot or an aphid infestation, you can nip it in the bud right away and be done with it. It is much easier to deal with it in its early stages than having to fight off a full infestation. Check your garden regularly, daily if possible, to watch for problems. When you see the arsenals of lawn and garden chemical available at your local home center, it seems so simple: if you have a problem with aphids, buy a chemical to kill them, but taking care of most garden problems is simple, and requires much less drastic measures than drenching your garden with chemicals. For example, the first course of action when one notices aphids in the garden should be to try to spray them off your plants with water from the hose. The next option, if the water isn't enough, would be to concoct a simple, natural, home-made spray to treat the problem. Rarely will a problem require a chemical spray. The most effective option, especially in terms of beetles and caterpillars, is to regularly pick them off with your hands and kill them. This is tied to the previous point; by regularly observing your garden, you'll be able to head off problems before they become a big deal.